0:30 – We’re in the library of Ronald Reagan (blessed be thy name). Let’s see how many Reagan-panderers we have tonight. 3:48 – Marco Rubio made a joke about bringing his own water because California was in a drought. But you used an effing plastic bottle Marco! I still like him. 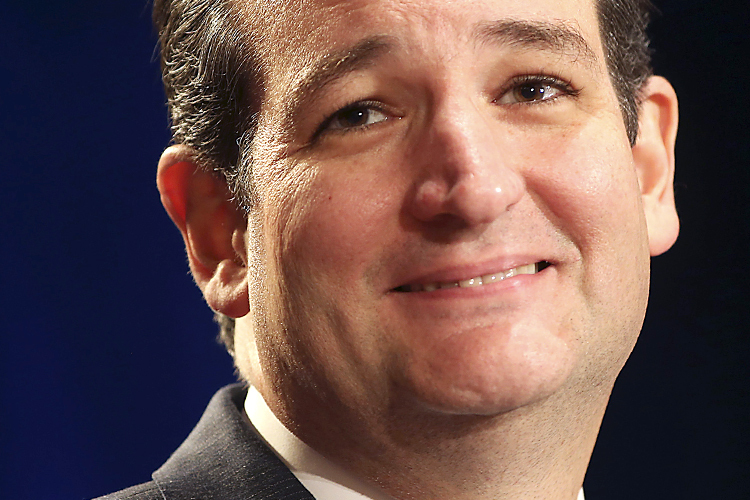 4:24 – Ted Cruz left out his crippling affliction to “dumbface” in his 30-second intro. 6:52 – Carly Fiorina had about 5 seconds of awkward silence before she launched into her spiel, ironically the same amount of lag that any HP machine has. 10:01 – And Fiorina botches it. After Trump’s comment about Megyn Kelly following the last debate, Fiorina called him out on it. Now, given the chance to back up what she said, she shies away. 12:20 – Trump with an admittedly great line, “I never made fun of [Rand Paul] about his appearance, and believe me, there’s plenty of subject matter,” is slightly undercut by the fact that Trump’s eyebags are reminiscent of albino leeches clinging to his skin. 13:16 – Another one, “Governor Pataki wouldn’t be elected dogcatcher right now,” by Trump. I don’t think people like him as much because of his outbursts or his positions or his supposed ‘no filter’ as much as they enjoy his well-placed humor. 1:03:05 – Gotta love Trump calling out Jeb Bush’s wife for giving him a soft spot for Mexican people. You know, like having a gay son gives you a soft spot for gay marriage. 1:22:33 – And now we’re treated to the romantic history of Carly and Donald. Er… professional history. Can you imagine? At least Carly (61) is in Donald’s age range (69). 1:28:54 – Ben Carson (after calling Mike Huckabee ‘Doctor’) tell us how progressive taxes are socialist. Wonder where he’s been living for the last few decades. 1:30:00 – We’re only halfway through! And I’m nowhere as tired as one of these guys (or girl) is gonna be on Day 1 of their presidency… repealing Obamacare, defunding planned parenthood, cutting minimum wage, deporting illegals, redefining marriage, and blowing the wax figure of Ronald Reagan in Madame Tussauds. 1:39:28 – Marco Rubio is on point with all of his answers tonight. He also has several Obama mannerisms. 1:44:43 – Trump says he’s gonna meet with smart people in two weeks two figure all of his policies about. Sidenote: Are the American flag pins on everyone’s lapel designed to siphon their life force as payment to Satan? 1:46:00 – Jeb Bush gets upset enough to defend his brother, which was evident by his voice increasing a tenth of a decibel. A defense which receives the loudest round of applause all night. 2:16:06 – Yes, marijuana is a gateway drug. In that most marijuana drug dealers set up shop next to some back alley gateways to avoid attention. 2:42:14 – It’s rather telling of how much cachet Republicans put in a two-hundred year old document and even morethey have in a two-thousand year old book. Conservatism. Even the word itself is against progress.